Feel free to contact us with any questions about Errl Cup and its business partners. 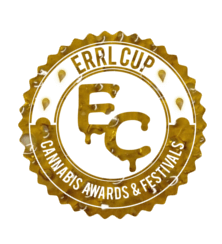 The Errl Cup provides Cannabis awards, events and festivals that are focused on a Patient Appreciation and Dispensary Accountability. In the ever growing industry of marijuana/cannabis The Errl Cup supports clean, consistent, high quality medicine for all patients.The Errl Cup helps put the power back in the hands of the Patient. With our Dispensary Accountability model we go out and “secret shop” dispensaries in the Errl Cup Event areas with our money. Then we have the product independently and blindly tested by a lab and True MMJ Patients in the event city. The patient choice winners and all results are publicized at The Errl Cup event, online and in print media. Look over our past events in Arizona and some of the articles that were written about it. Membership has its privileges, not only will you receive event information before the public, and get great discounts on our events and our partners products, but you will be enter into a chance to be an Errl Cup Judge. Sign Up Today! Feel free to contact us via email at Email Errl Cup Directly or call us at 602-540-6283.
and most social media networks. Got familiar with growers and processors of Arizona medical marijuana. Hearing their stories and trying the potent meds is a sure way to know what your medicine is about. Thank you ERRL Cup for connecting the dots. Willy CummerLocal MMJ Patient I had the best time at the 1rst cup, so informative and organized! I can’t wait for the 710 event, dreaming of a judges spot ? …update, 710 was HOT! props to all the staff who went above and beyond helping in every way possible. From buying more pop-ups to handing out free water that I assume WAS meant for sale, they battled the heat like pro’s.